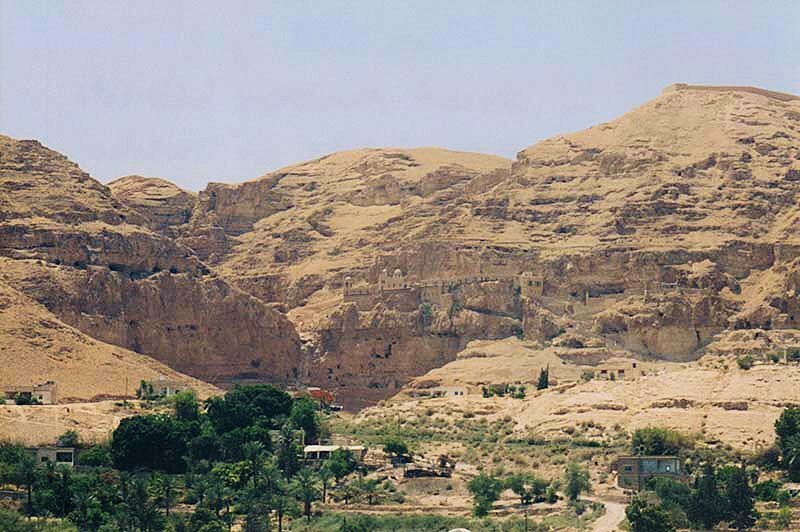 In the mountainside at the edge of Jericho are many caves, but can you also find the ancient monastary that was built into the cliff-face? Look closely! Look for tiny square, evenly-placed windows and regular-shaped structures in the middle of the photo. Click on it for a closer view.